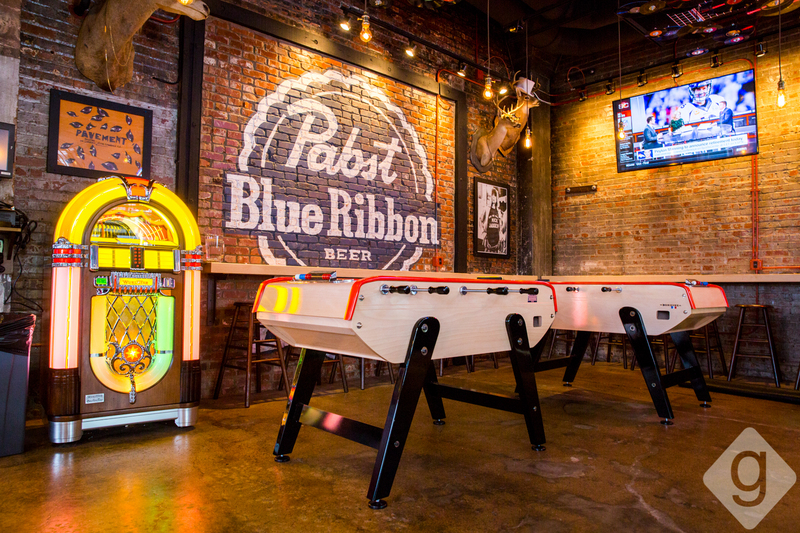 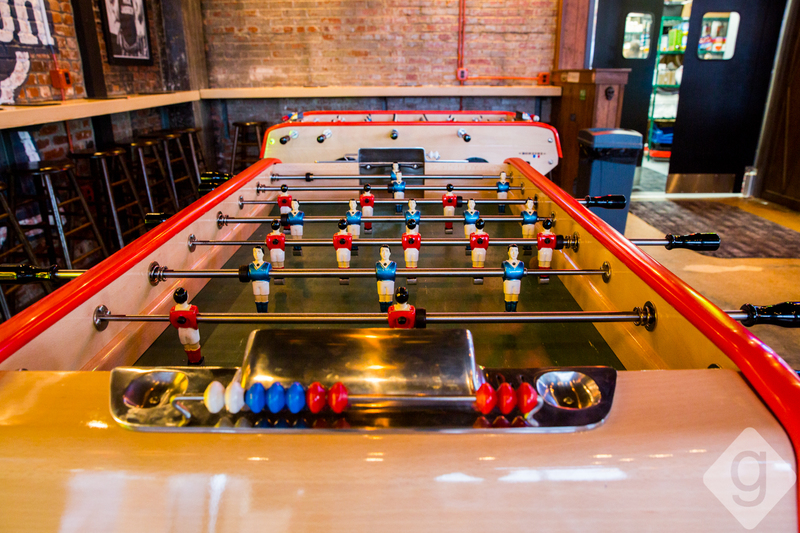 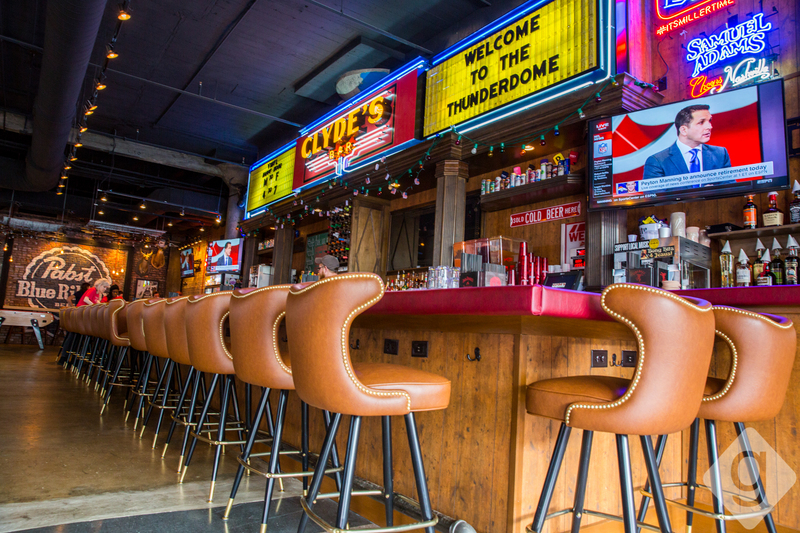 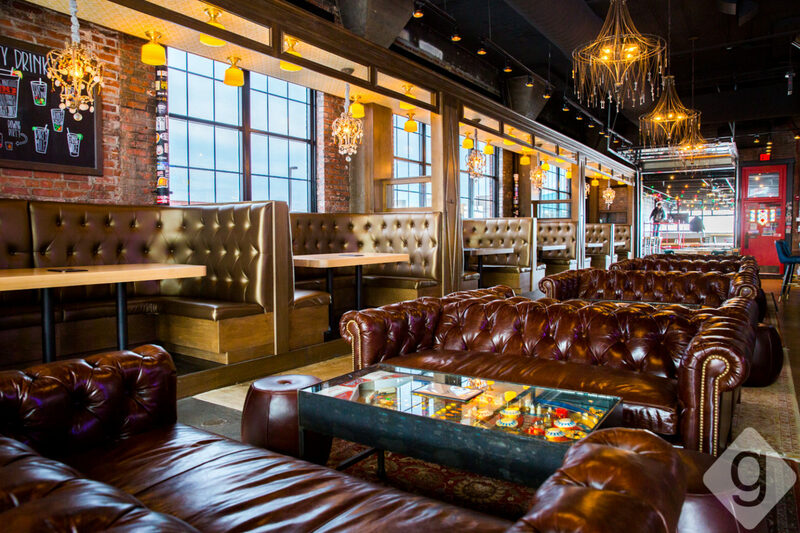 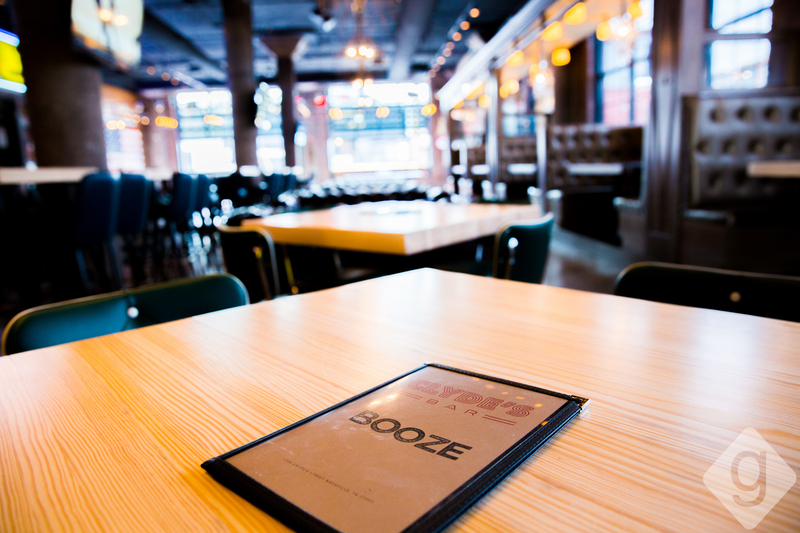 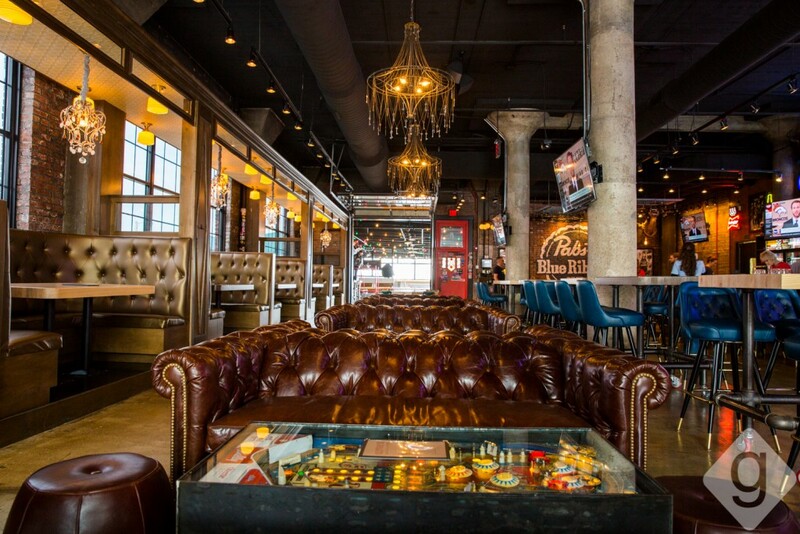 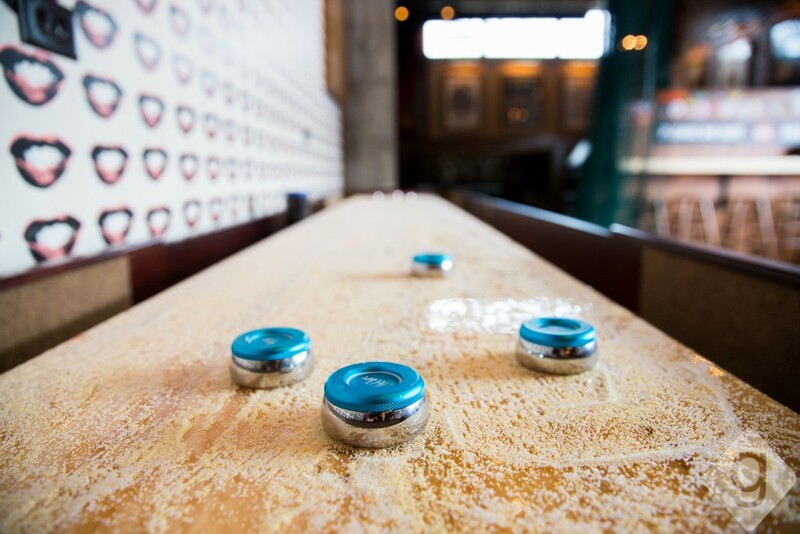 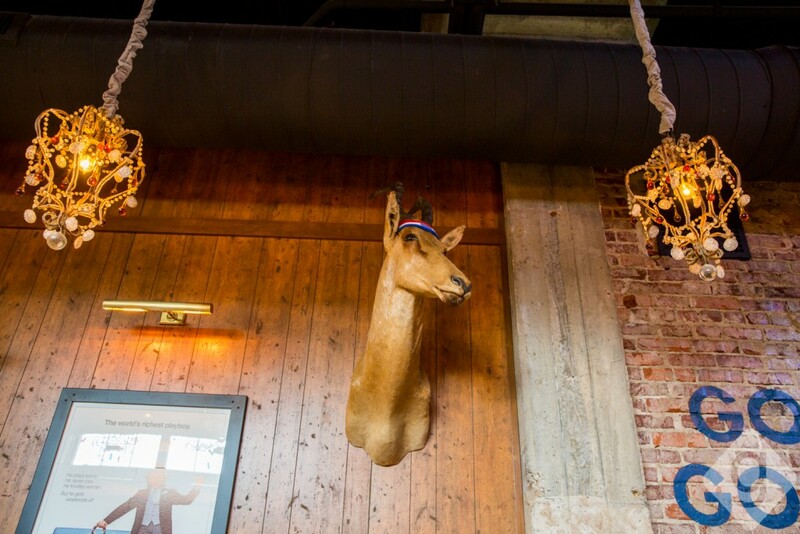 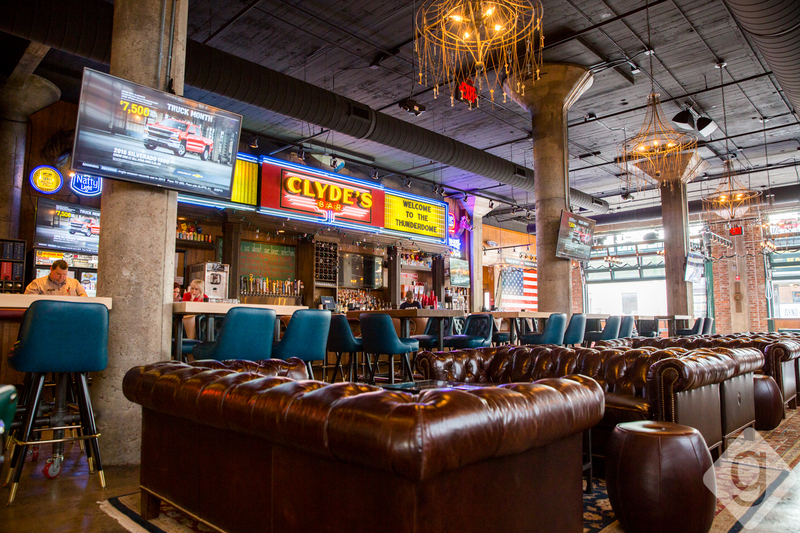 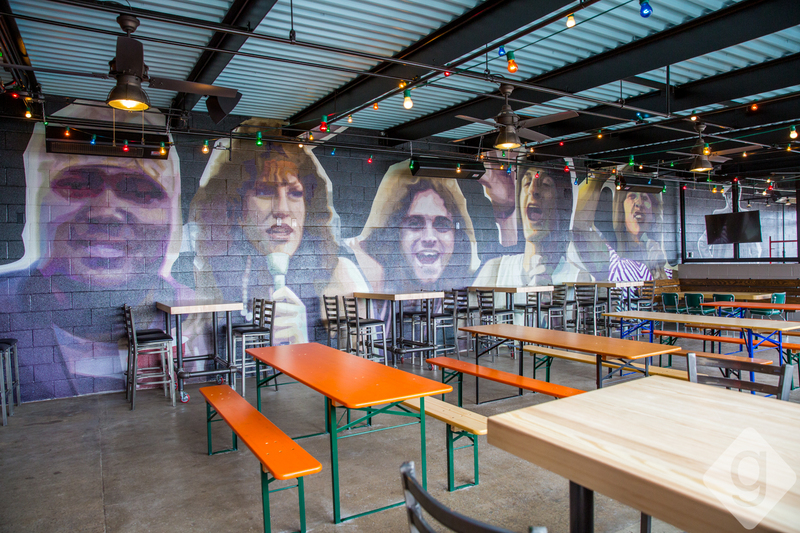 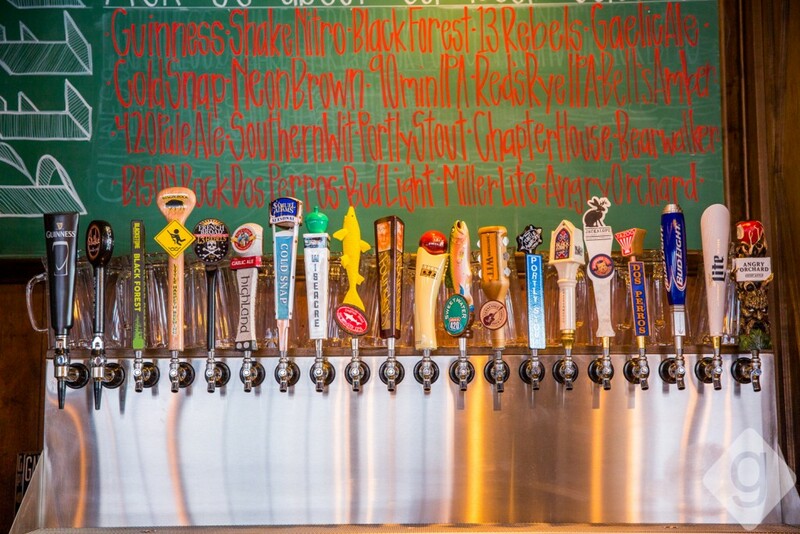 Clyde’s on Church, Nashville’s newest go-to destination for games, brews and food, officially opened to the public on Monday, March 7, 2016 at 11am. 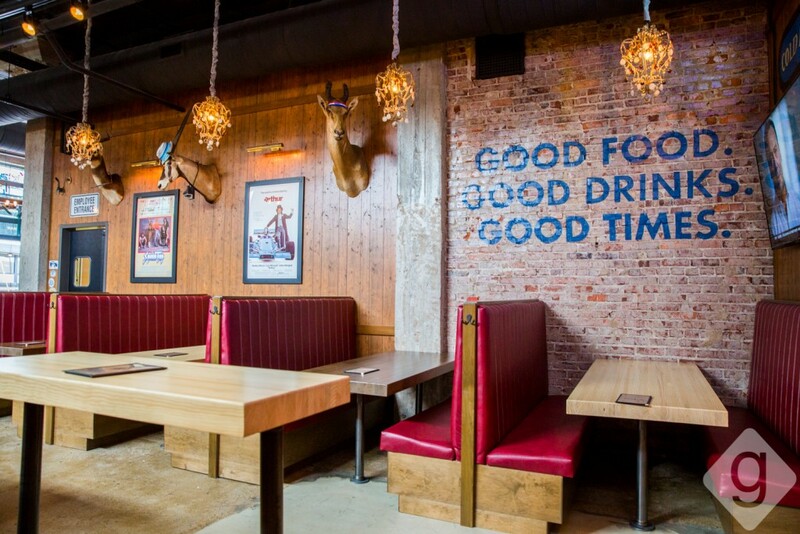 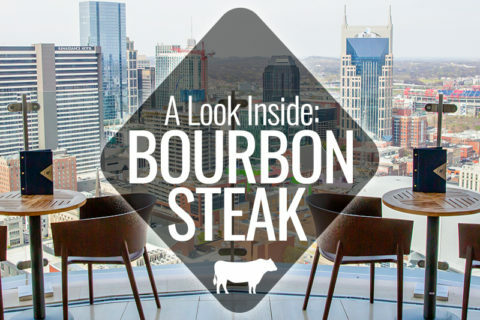 It’s the latest concept from the Monen Family Restaurant Group, which is also behind local spots like Taco Mamacita in Edgehill Village and Milk & Honey opening later this year in the Gulch. 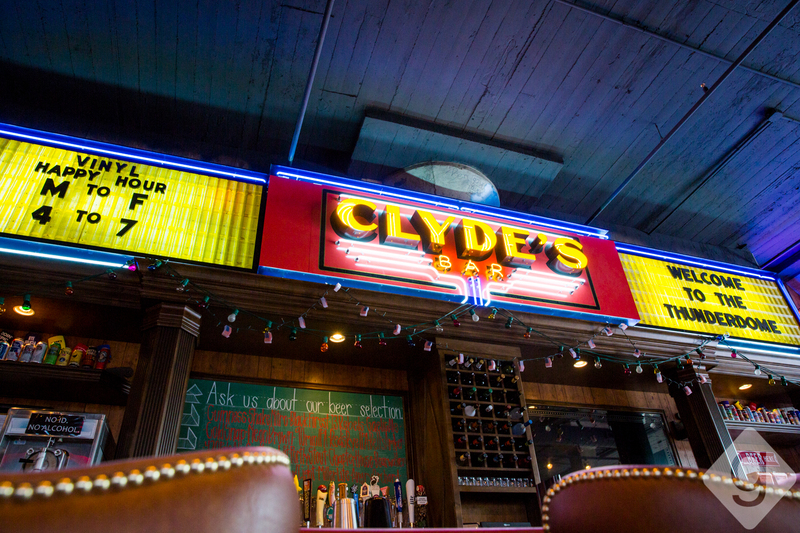 The group also owns several other restaurants out of Chattanooga, including Clyde’s on Main, the inspiration for Clyde’s on Church in Nashville. 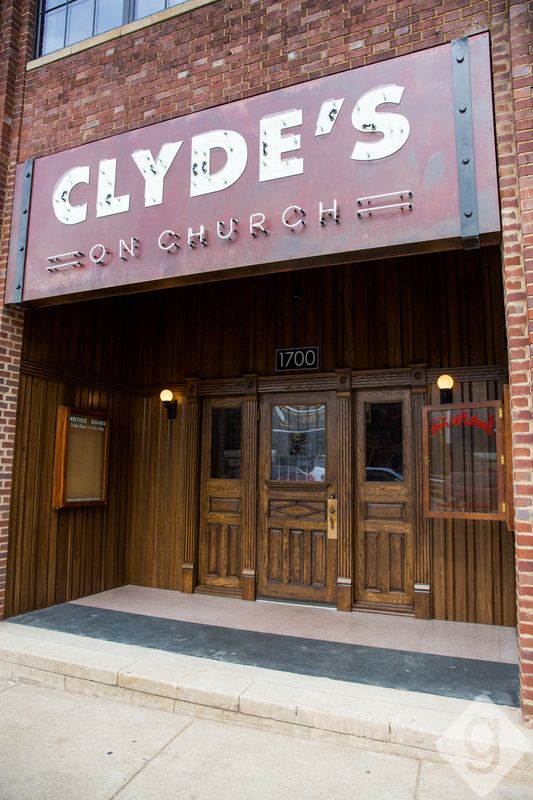 Clyde’s on Church occupies a large space on Church Street in Midtown. 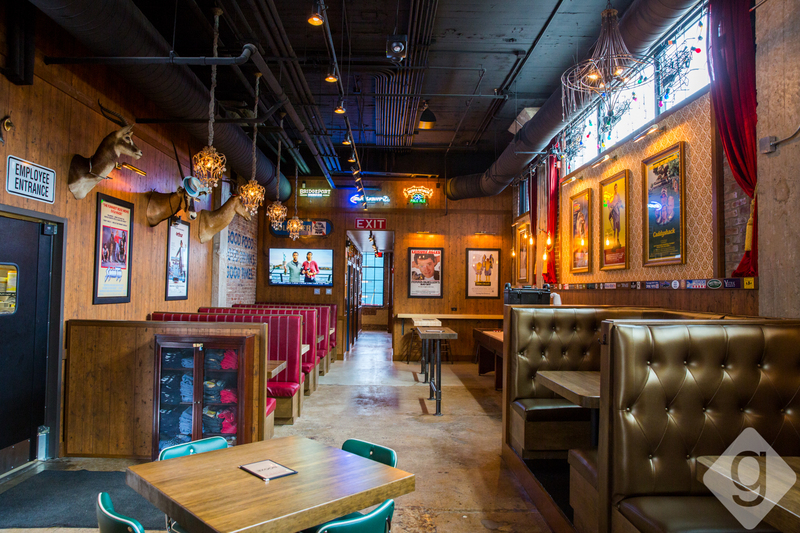 There’s a covered patio, two main rooms, and a spacious bar area. 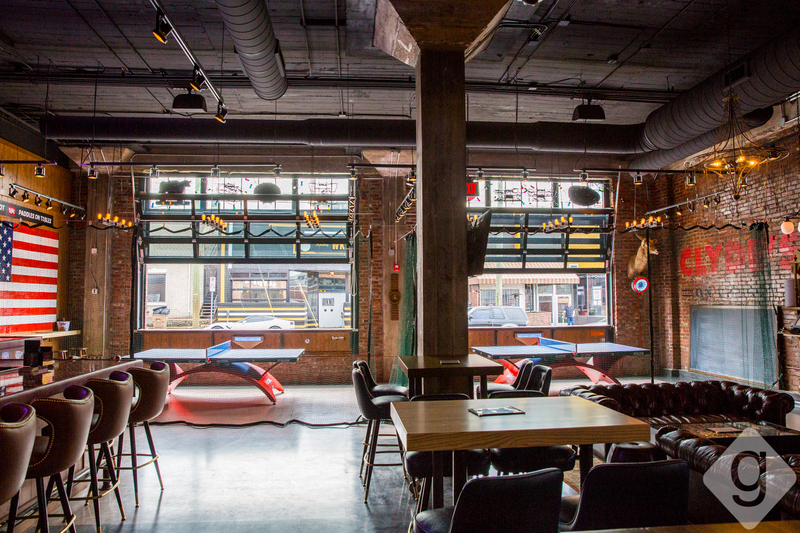 There are three garage doors that open Church Street. 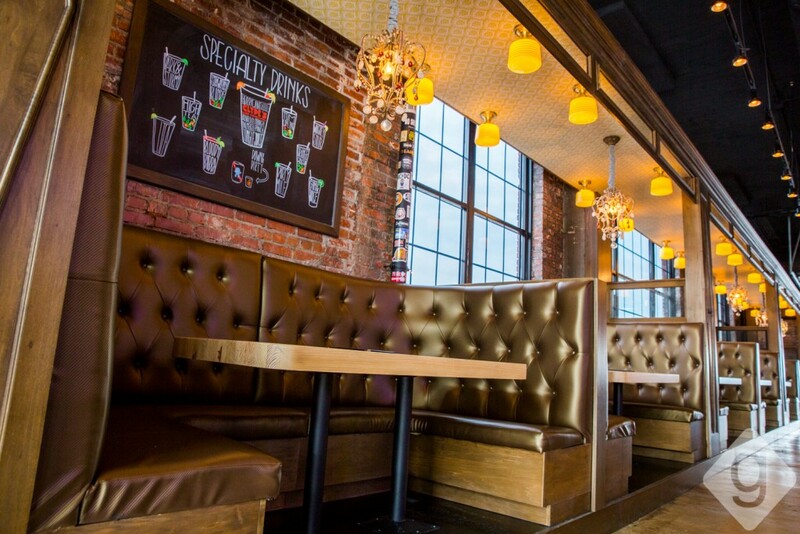 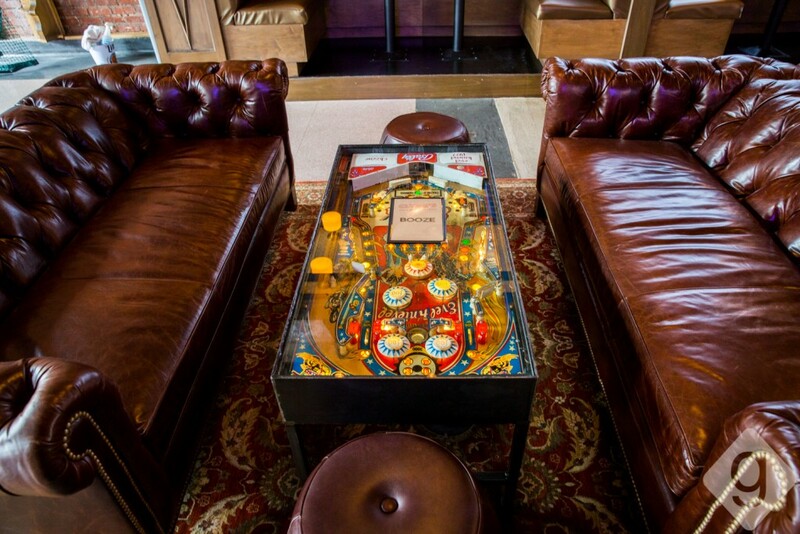 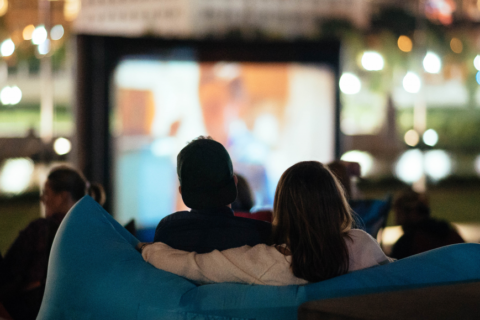 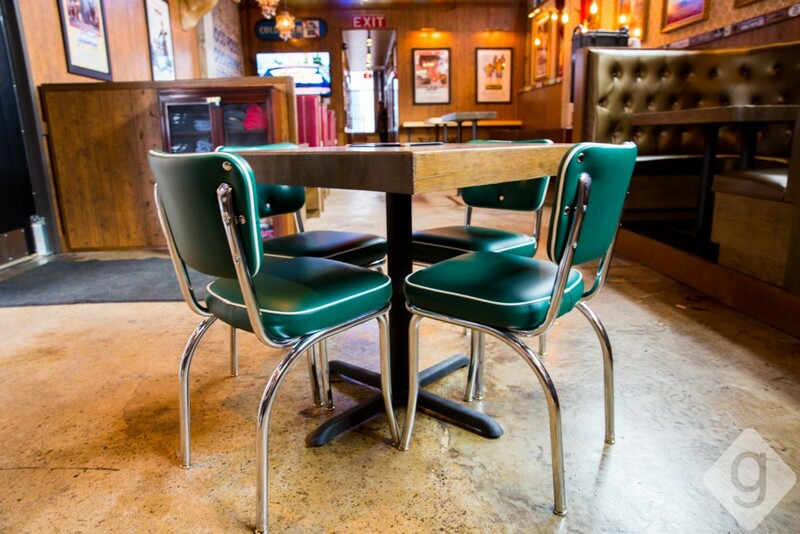 Comfortable seating is easy to come by, from leather couches to padded booths to cushioned seats. 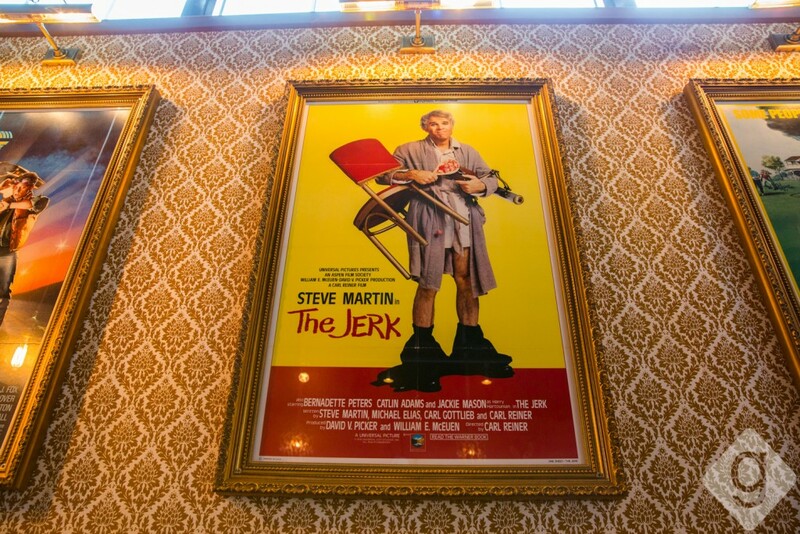 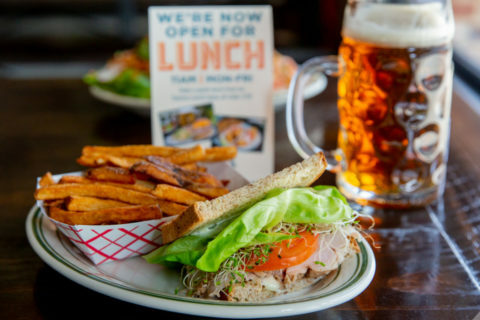 The decor has a vintage vibe, including old movie posters, a juke box, authentic wallpaper from the mid-1900s, funky chandeliers, and pinball machines as tables. 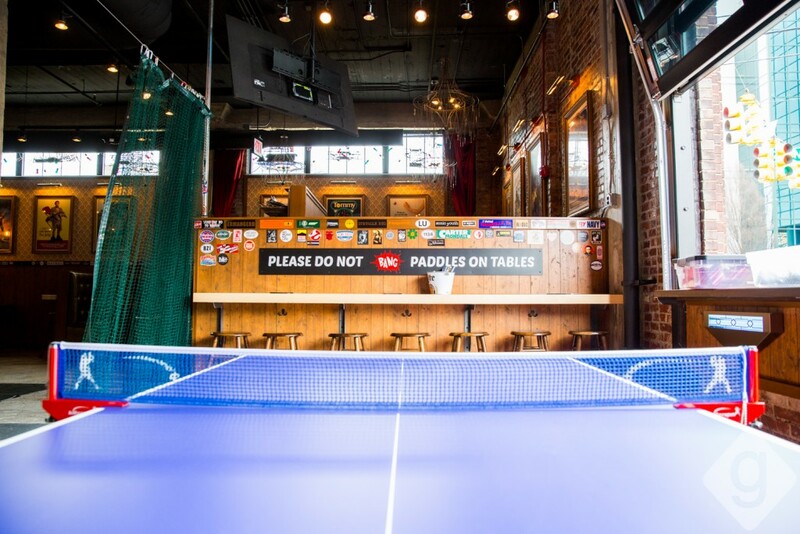 If ping pong is your game, Clyde’s is your jam. 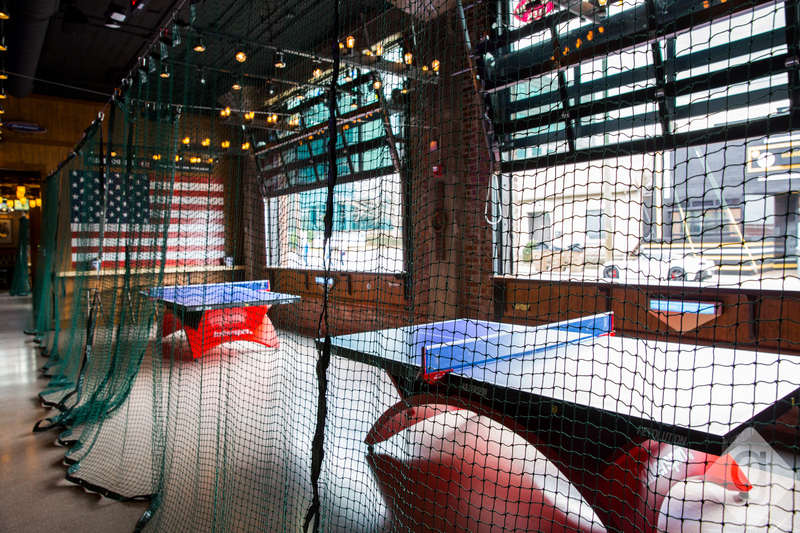 They have five ping pong tables, including two on the patio. There are even nets to manage out-of-control ping pong balls. 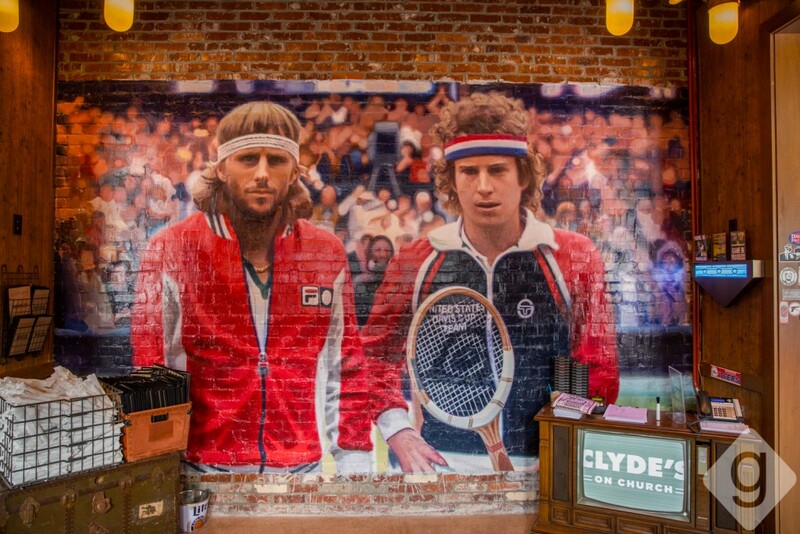 If that’s not enough, take a look at the photos near the bathrooms — there hundreds of handpicked photos of celebrities playing ping pong, and they aren’t Photoshopped (it just required a lot of searching). 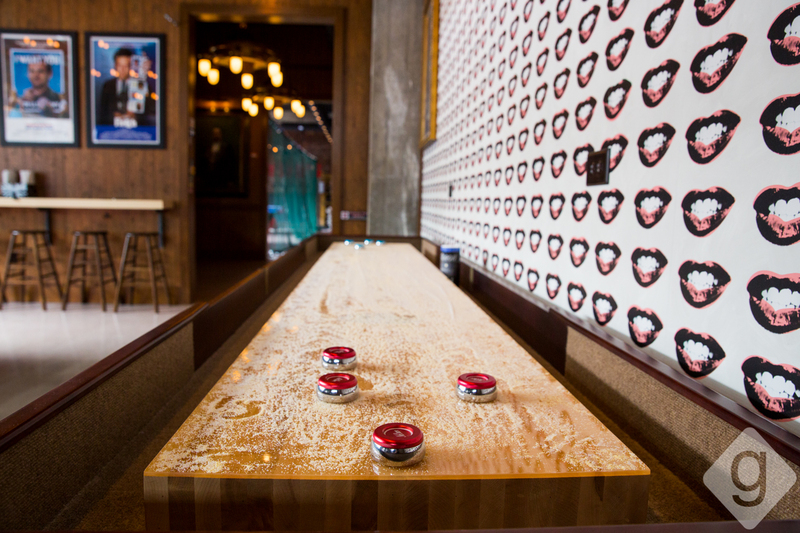 Clyde’s also has two shuffleboards and two foosball tables. 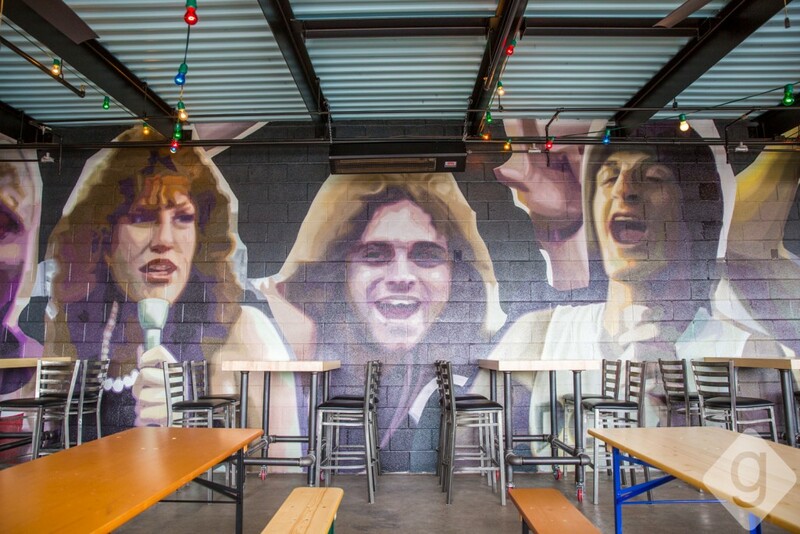 Jasper Patch, a renowned NYC-based street painter, created incredible murals at Clyde’s on Church, including a collection of faces from a cult classic interview called Heavy Metal Parking Lot. 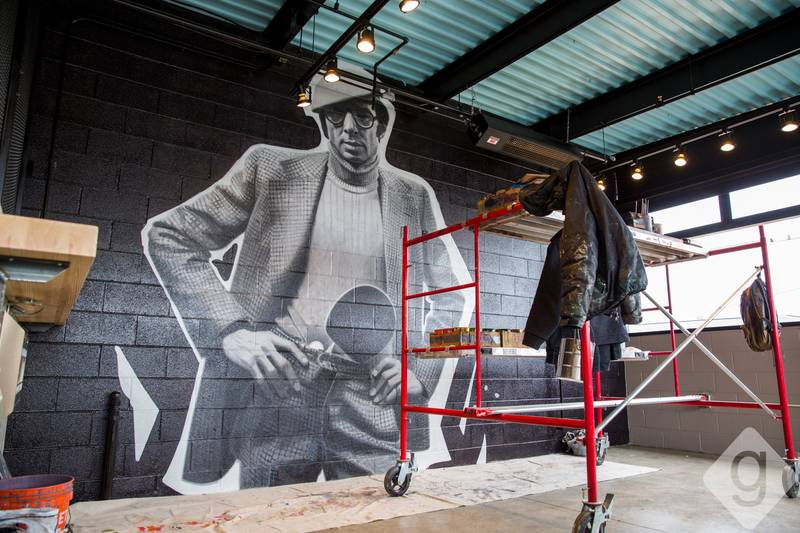 The mural you see when you enter is also a Patch painting — not a photo. 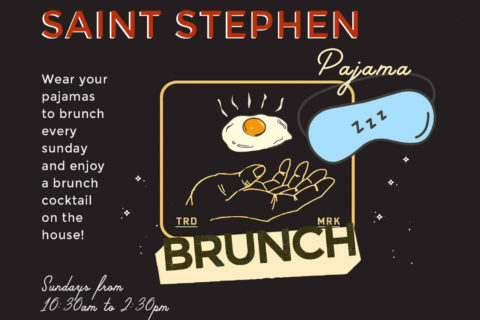 Vinyl Happy Hour: Monday through Friday from 4pm to 7pm. 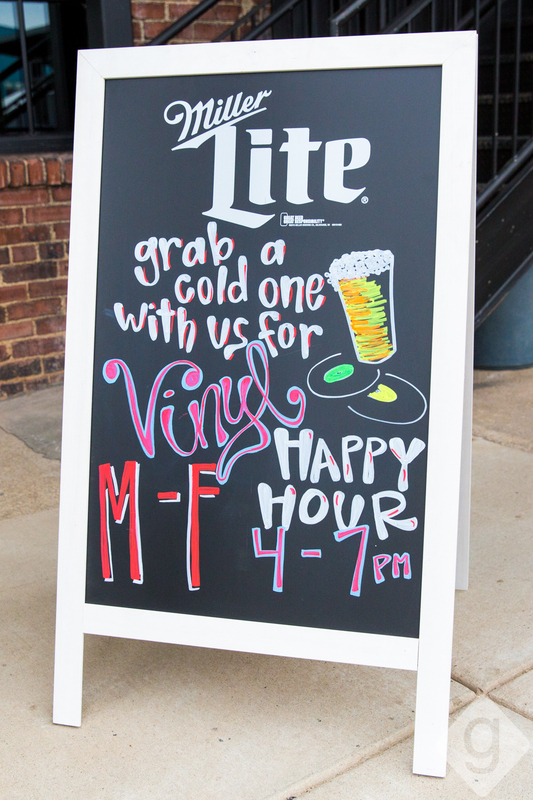 Ask your server about specials. 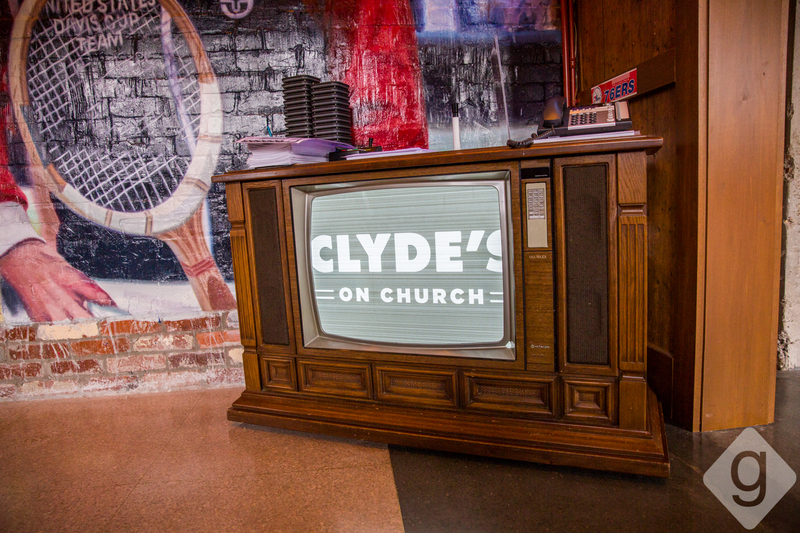  For more information, visit Clyde’s official website.